Two long-time friends naturally evolved into co-authors. How? Through their passion for kids books. And, Why? Well, they say two heads are better than one. Circa 2006-ish, one started a children's book blog to share the picture books her kids were ga-ga over; the other started writing about the picture books she was ga-ga over while reading them to her infant firstborn. It was no surprise that they crossed paths in the blog world. However, it is serendipity that they crossed paths in real life. Sheela Preuitt is a children's author who also writes for online publications and print magazines. She is convinced that children will embrace an eco-friendly way of life if they understand the Why along with the How. In the pretext of tending to her home-garden vegetables, she loves to watch the drama unfolding in her backyard when the house finches, chickadees, sparrows, and hummingbirds create a racket darting back and forth trying to cut off each other's approach to their respective feeders. She enjoys cooking mostly-healthy foods, hiking in nature trails, and crocheting a jute bag or learning to weave a hemp basket. 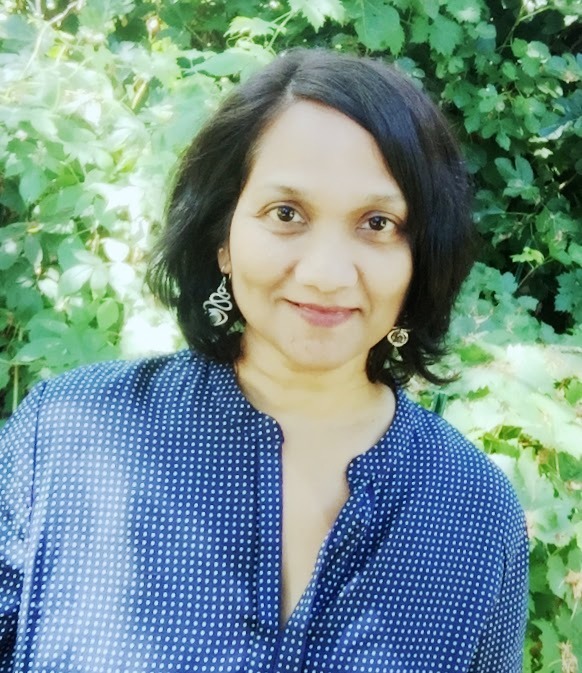 Praba Ram is a children's writer, a reading specialist and an early literacy advocate. 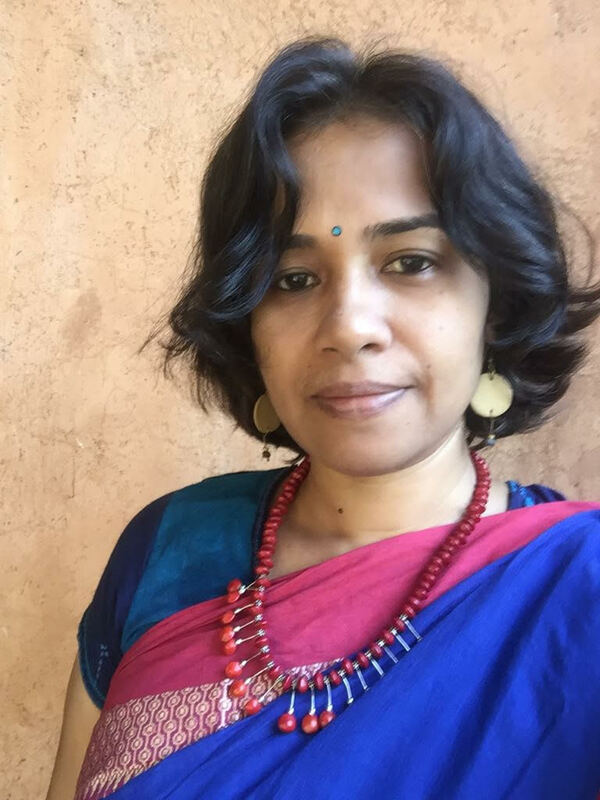 She is the founder of the kid-lit blog, Saffron Tree - an award winning site dedicated to recommending and reviewing children's books from India and the US. Praba believes in the power of books and its positive impact on children, especially when introduced in the early years of childhood. While in the US, she volunteered as a Storytime Facilitator for the Ready-to-Read Program in Virginia, where she implemented story hours for children with limited library access. During those two years, Praba planned several fun read-aloud programs incorporating an array of themes and books, which never failed to delight children. Praba has co-authored eleven books for children, both fiction and non-fiction, with well-known Indian publishers such as Tulika, Karadi, Pratham Books and Mango Books. She lives in a sustainable farm-house where she loves curling up with her purr-tner in keeping peace, Ammu, the cat. She also conducts art appreciation workshops, story-hours and book clubs in her community. She has an undergraduate degree in Management Studies from BITS, Pilani and a Masters in Public Policy from University of California at Los Angeles. Having moved back with her family from the East Coast of the US to the East Coast of India, this herbal-tea-loving mother is happy to be raising her two daughters in the culturally rich, but known near and far for its forever-hot-and-humid weather that is the city of Chennai. We write fiction and non-fiction picture books and chapter books for kids, at different reading levels. We also enjoy translating picture books from English to Tamil, as commissioned by the publishers and editors. Our passion in fiction writing is to create inclusive narratives. And, in non-fiction, we enjoy STEM-oriented books as well as biographies.